I didn’t know much about the RWA association except Nora Roberts was a member and had an award in the association named after her. What an honor. All I knew is that I wanted to experience something as wonderful in my lifetime. My friend and agent/editor type person suggested I join the RWA to get help with what she preceived as a romance manuscript instead of a literary piece. So I went on line and learned a little about what the organization did for writers. 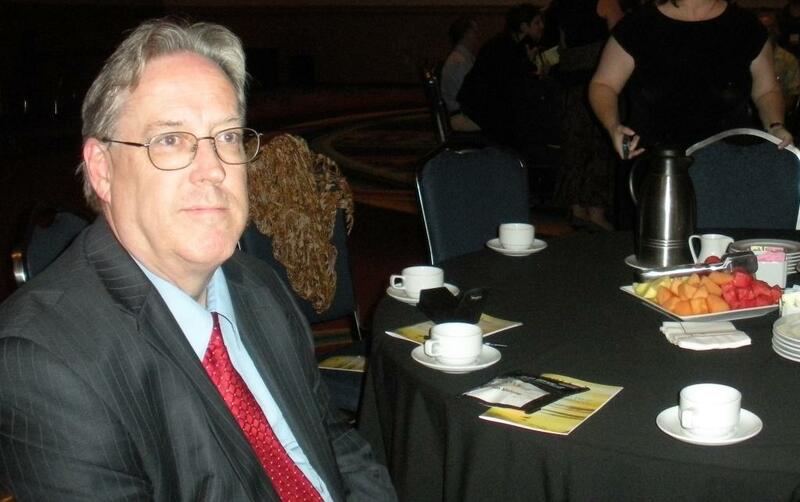 I was impressed with the contests, education and nurturing of writers and joined in September of 2011. But failed to take advantage of their offerings–shame on me. One thing I did know was that I wanted to be around romance writers and decided to attend their convention which just happened to be in our own backyard in Anaheim this July. So as soon as registration opened up, I jumped on it. Even registered Tim to attend the luncheons with me. Time passed quickly and I prepared the best way I knew how–I wrote stuff. I think I may have spread myself a little too thin. I didn’t concentrate on the one book that was totally and completely romance. Members of my local chapter, LARA, Los Angeles Writers Association, suggested I used this conference as fact gathering event rather than a place to showcase my completed works. So I signed to volunteer, looked at all the workshops and made a spread sheet of the one’s I wanted to attend and finalized my agent/editor appointments. 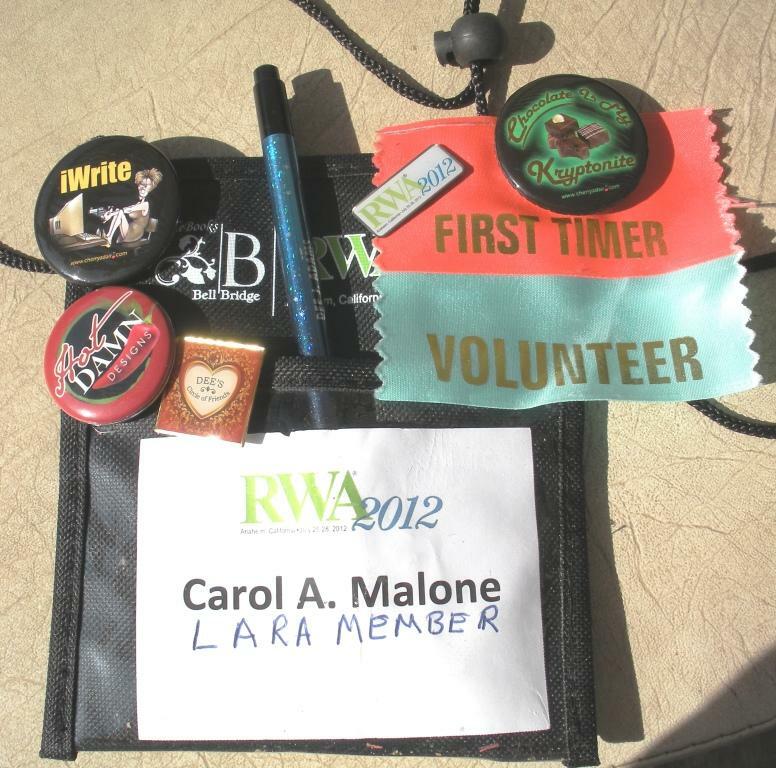 Being a RWA conference virgin was as exciting as the real thing. Tuesday, July 24, Tim and I plunged in by helping carry books to the appropriate author’s table in the Literacy Book Signing event in the Anaheim Convention Center. It was hot, grueling work, but I actually got to touch Nora Roberts’s books and sit in her chair for a picture. Then I mapped out my own book signing-strategy. The next day at the signing, we were only allowed fifteen minutes to run a football-field’s length ballroom to obtain as many of our favorite author’s signatures and books as possible. I got some great ones. Missed a couple and then returned to my duty station to ring people up and run their credit cards. It was pure delight to look into the faces of other conventioneers and ask to see what they were purchasing. It was an experience I shall not soon forget. Wednesday I helped with registration and the goody room, which I absolutely loved. So much that I spent 5 hours in there. Thursday started workshops and we took some great ones. Friday I assisted with the agent/editor appointments and tried my hand at an impromptu pitch. Fell flat on my face. My own appointment was scheduled for the afternoon so I memorized my pitch. I must have done well–not at the book I was pitching–but for the other manuscripts I’ve written because the editor I met with asked for pages that might fit the Harlequin Heartwarming genre. Yippee!! I just have to figure out how to get them to her for review. More workshops, delicious luncheons and a fabulous awards ceremony concluded my first time-virgin experience and I must say it was very exciting and well worth the wait. Even Tim, who I dragged to the convention, had a great time and learned so much about the writing experience and the business of publishing. Time now to get back to the WIP (work in progress). See, I’m learning the romance writing jargon and discovering the meaning being all those the acronyms. I can’t wait for next year’s convention in Atlanta.